Okay, this isn’t really a photo, but still it’s pretty cool. Crazy 4 Cult is an art show in LA, hosted by Kevin Smith and Scott Mosier. This cool poster was specially designed for this event; it’s full of cult movie characters and it’s one of those posters you can send hours looking at, yet still discovering new things. Now this isn’t even the full poster, just a snapshot. For the full version, head on over to /Film, it’s definitely worth a look. 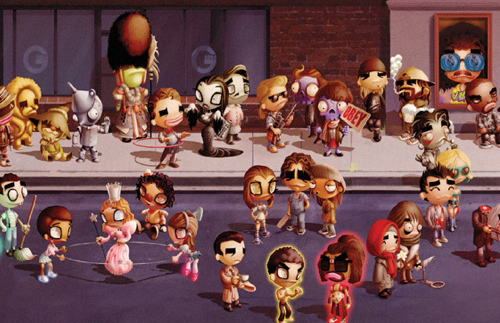 How many characters can you recognize?